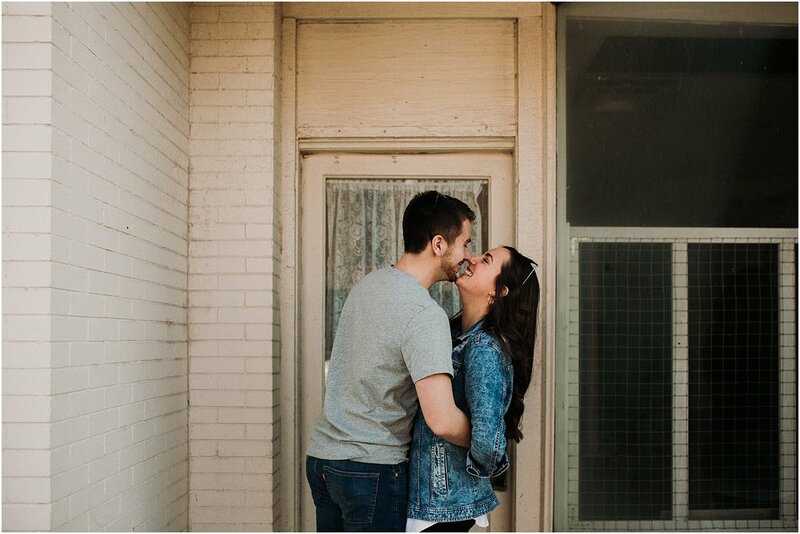 A lot of never have I ever's happened during Kaylee and Blake's engagement session. No, I'm not talking about the game. 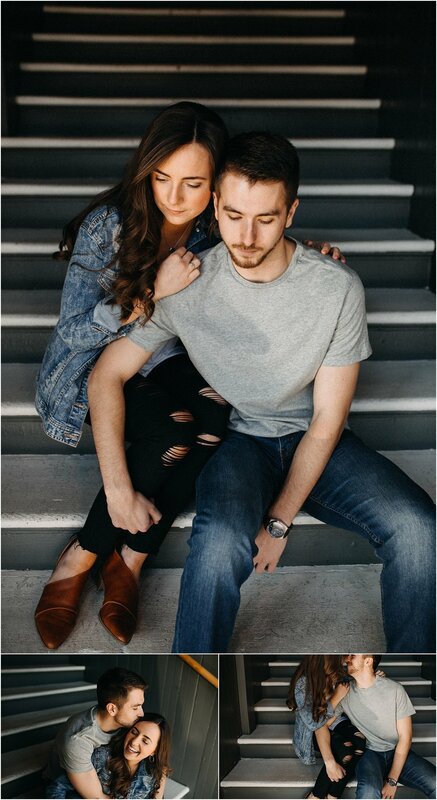 I mean, never have I ever taken 1,300 pictures during an engagement session. Never have I ever stopped to get Andy's custard during (but 100% best idea EVER). Never have I ever jammed out to JT in the car with a couple. Never have I ever explored so much. Ah! My heart is so full after this spending time with Kaylee and Blake. I've been trying really hard to invest more time and energy into my couples. Not because it's better for business, but because I took a step back last year and decided that I didn't want to be "normal" anymore. I used to meet with my couples initially for 30-45 min, do their hour engagement session, and show up on their wedding day. Not once did I ever have a complaint, but I was never happy. I always felt empty at the end of the day. So, after lots of soul searching, I decided I wanted to intentionally get to know my couples on a deeper level. When you know someone and truly care about them, it makes interacting more comfortable and genuine. I'm so thankful Kaylee and Blake share the same passion I have for relationships and loving people. I can tell you that Kaylee loves being a teacher, snow monsters from Andy's, Jesus, Forrest Gump, laughing, concerts, traveling, and people. And Blake loves smart technical things that I will never fully understand, movies, his fraternity brothers, basketball, and he's a great listener. Trust me, I talked A LOT and he just sat back and listened. I can't begin to explain how full my heart is being able to know these two beautiful souls. When I was looking through Kaylee and Blake's pictures, my instant favorites were the ones where Kaylee was dying from laughter and Blake couldn't help but smile at her. That's them at the core. Just fun goofballs. I honestly can't wait until their wedding day! Ah!